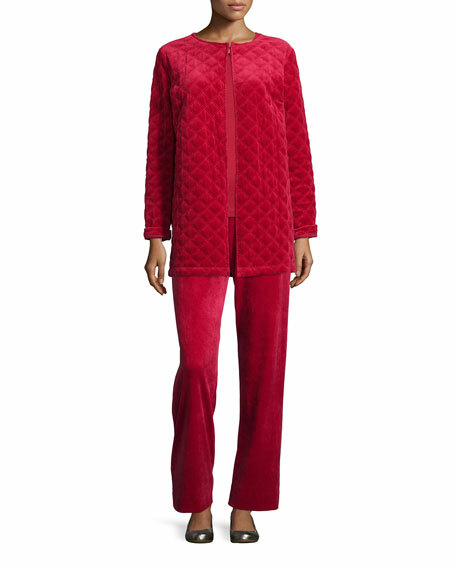 Joan Vass quilted velour jacket, available in your choice of color. Round neckline with hook-and-eye top closure. 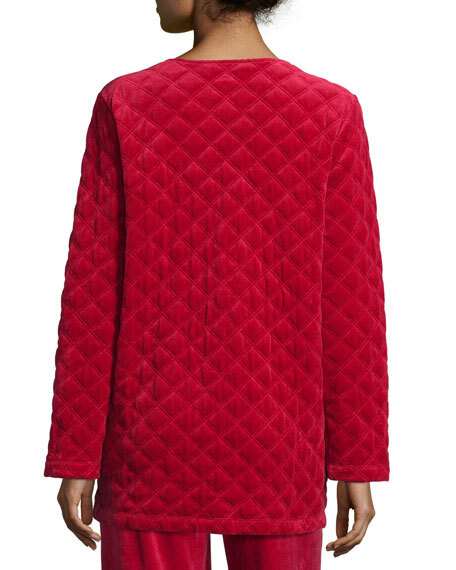 For in-store inquiries, use sku #1607020.